Not over underground utilities such as septic systems and drain pipes. Away from all overhead wires and trees - we need 18' height clearance. Our trucks are the size of a smaller school bus / oil truck. We need to be able to reach the bag 20' or less from the center of our truck. Can I put the BullBag in my garage? YES! TIP: We recommend if you need to have the BullBag in your garage that you sprinkle rice,sand,popcorn,macroni,etc so that when your BullBag Wrangler slides the bag out, friction doesn't negatively affect the bag...and it makes for an easy clean up. Can I put the Bull Bag behind a fence? ABSOLUTELY! As long as we have 24' of reach to retrieve the bag (from the center of the truck) We can also pick up from the top of stone walls, ledges, behind hedges! Can I put the BullBag on a second floor? SURE CAN! As long as we have 24' of reach to retrieve your Bull Bag (from the center of the truck) and there are no overhead wires or tree branches blocking access. We regularly pick up from 2nd story scaffolding, tops of garage roofs, patios, decks and upward hills. 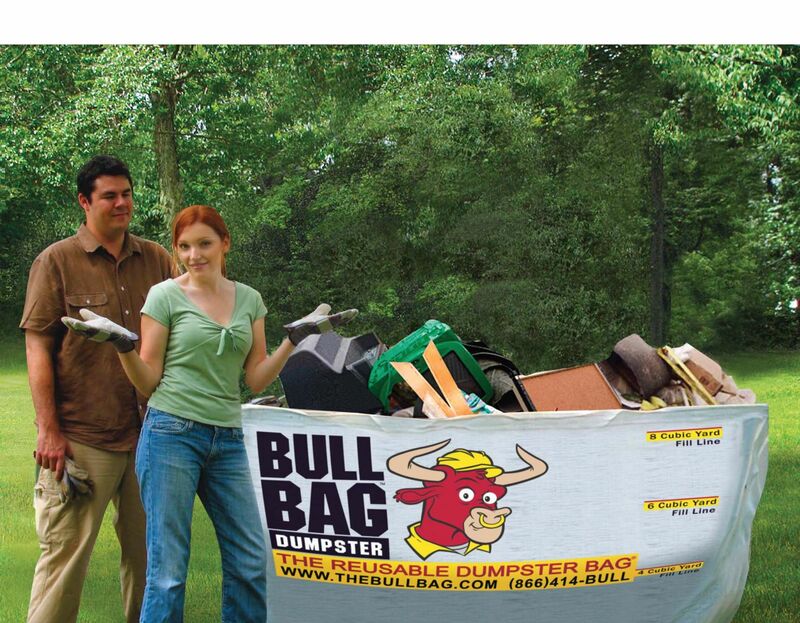 Can and Does BullBag empty bags inside gated communities and HOA's? Absolutely! 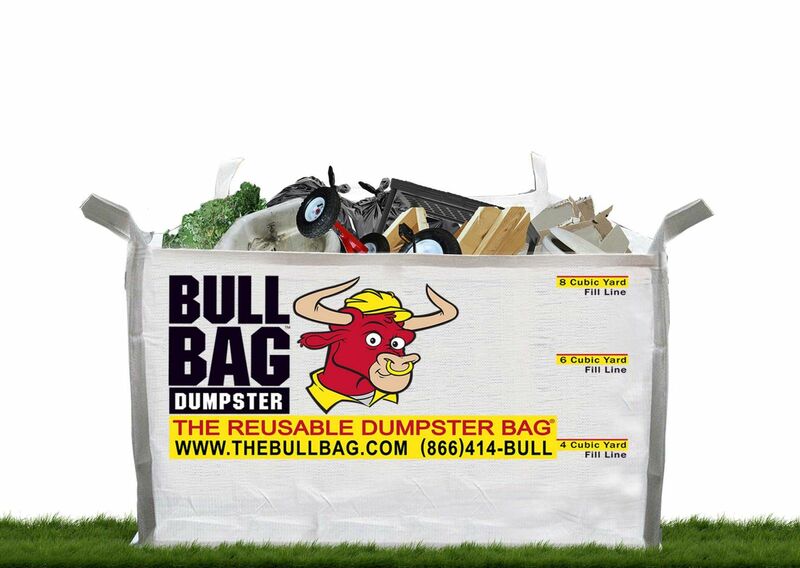 If you are facing a time window that could result in fines or admonation from your management board please reach out to the BullBag team prior to setting up the bag and discuss the requirements with us. We do this every day so are able to assist you with placement, speaking with the board or management company, etc. Our GOAL is to empty BullBags within 2-3 business days, but sometimes weather, traffic, or unforseen issues make this not possible. When interacting with both of these groups, it's all about communication and expectations and we have learned that our reaching out to them goes a long way to preventing bad feelings, fines and unhappy neighbors. Let us help you! Roofing contractors suggestion - from Roofers to Roofers! Want to reduce your clean up work? Current Roofing customers recommend installing your scaffolding around the house and set up BullBags at the gutter line on the scaffolding or at the base of it. 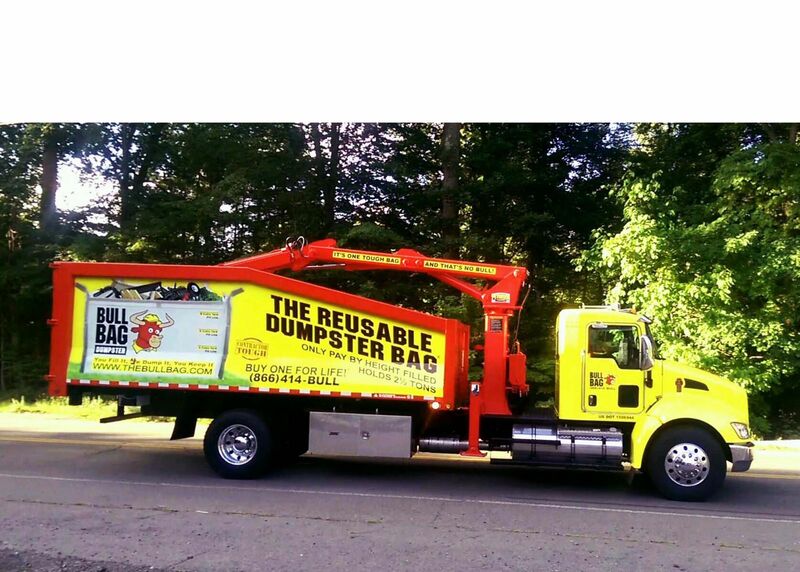 BullBag trucks can pick up and empty your BullBags right from the scaffold to eliminate damage to landscaping, siding, windows etc that are typically associated with roofing projects. No more needing to clean up nails and debris from shrubs or lawns!